Common Energy Star windows and patio doors only have an R rating of 3. We designed a series with an R rating of 5 for the ultimate in energy efficiency. How Much Difference Does an Energy Efficient Window Make? 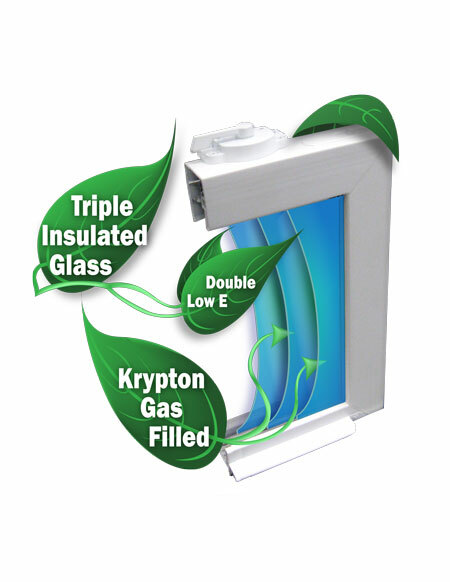 Heat and cold transfer through windows causes approximately 30% of heating and cooling energy costs nationally. That is an annual 4.31 quadrillion BTU of energy consumption. U-value is the rate of heat flow through a window; the lower the value, the better the insulating quality. Most commonly the U-value is used to measure a window's total insulating value. R-value is the resistance of a material to heat flow; the higher this number, the better the insulating value. Inverting an R-value gives you the corresponding U-value. For an R-value of 5, the U-value is 1/5 or .20.